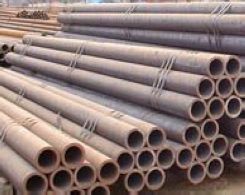 You should raise API steel pipe of 65 feet correctly and safely, so the correct ways are important and necessary. They are all very heavy and not so easy to operate in specific places and areas. It is that the products are updated into a higher level with the development of our technology and society. And all of them are widely used and sold well around the world. In the common sense, a 65 feet pipe is very hard to move with the heavy weight. So, you should use proper skills. 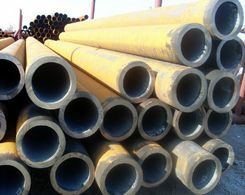 To move this length heavy steel pipe, you should get help from a lifting device, which can save you much time and energy. And when it comes to the lifting device, you need to use gantry crane to raise. That a gantry consists of a steel frame and generally is able to lift objects which can weigh up to one ton. 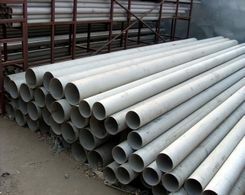 You should comply the following steps to move and raise such steel pipe. At first, what you need to do is to measure 22 feet from one end of the 65 steel pipe and place the lifting sling perpendicular to the pipe. You are supposed to repeat this step on the other end of the pipe. As it is so hard and difficult to lift that you can adopt the way of rolling. It is easier and safer to roll to black steel pipe onto the lifting sling. Next, you are told to attach a chain hoise or an electric winch to the trolley on the I beam of the gantry crane. It creates the opportunity to raise this pipe and move it to the destination. Then to position one gantry crane over the chain on the end of 65 feet pipe, before pushing the portable gantry crane over the pipe by its casters. And you need to place the second gantry crane over the chain on the other end of the pipe. Thirdly, you are supposed to place the loops of one lifting sling over the hook on the hoist or winch, then repeat this step with the other lifting sling. Finally, pull the chains on the chain hoists in unison to raise the 65 feet pipe off the ground. During the process, you should be careful and if you are using an electric winch, pay attention to press the start button at the same time. Then the steel pipe can be raised up to certain distance.